Luxury Furniture Since 1932 - Ethan Allen Furniture Reviews and Styles! Ethan Allen have been operating since 1932 making furniture for individuals across the U.S and beyond. In this long history Ethan Allen have survived several depressions and downturned markets while still booking consistent profits, this shows that they know a thing or two about furniture. In this Ethan Allen Furniture Reviews guide you will learn all about their history, the types of furniture they produce, the quality of these furniture pieces, and their furniture warranty policy. Ethan Allen believe in creating icons of luxury living which are much more than furniture. They believe the right furniture is just as important to your style as your favourite outfit. It’s about fitting out your home with the right styles and taste to make it look great. Ethan Allen believe in quality as well as style. They design and build most of their product range, with expert craftsmanship that has been passed down over the past 80 years. A lot of their products are unique and cannot be found with other retailers. There are 4 pillars upon which Ethan Allen stands. The first is style. By taking different elements from a range of cultures Ethan Allen has created some unique blends and ideas in furniture. This separates them from the crowd when it comes to furniture fashion. Secondly there is quality. Ethan Allen believe in consistently superior quality and seek to achieve it by using the most up to date techniques combined with old school values. Haverty Furniture also provides old school feel and values.They always look for the best materials to keep the products consistent. Thirdly service is important to Ethan Allen. They have a range of professionals who are passionate about their craft and are available to give you tailored advice. This lets you get the best products for you and your home. If you are interested in customer service, Pulaski furniture has great customer service. Finally the environment. Ethan Allen have an environmental conservation policy to limit their carbon footprint. This includes green workshops and replanting of used trees so there is limited effect on the surrounding area. With a wide selection of products and customising options Ethan Allen have made furniture shopping a grand experience. With professional designers and craftsmen there is a unique feel to the Ethan Allen range. Ethan Allen began small but have grown to the point where they’re making products for the whole home. 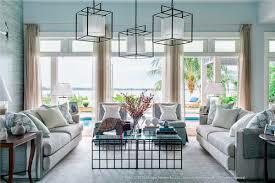 They have large collections for the dining room which are extremely popular across the board. These product lines include tables, chairs, benches, stools, storage and even display pieces. There is also a living room range which can be seen in homes across the country. These product lines include: sofas, loveseats, sectionals, chairs and ottomans. Made with reclining mechanisms and a variety of materials there is a lot of choice in the living room collection. Aside from the dining room and living room Ethan Allen products office furniture, storage solutions and accessories for the whole home. They have a collection of rugs and even some outdoor products. Ethan Allen have one of the widest and most diverse product ranges in the furniture industry, it’s hard to think of something you won’t find in their catalogue. With them offering chaise loungers, and ottomans, you need to make sure you have a coffee table that goes with your chaise. While Ethan Allen have a lot of different products for the whole home, their dining room and living room collections are the most popular. For each of their product lines Ethan Allen offer a wide range of choices. This let’s you customise the units to your tastes and helps make them unique for your home. Firstly you’ll be able to select the style of your furniture. The most common options tend to be traditional or modern but there are also contemporary and transitional styles available. This in an important part of the selection process so that you can find products which work well with your home and don’t clash. After you’ve settled on the style you can have a look at the colours available. You have the option of some bold, dark, distinctive colours or some lighter finishes which provide a very different feel. The range of materials and woods used allow for a greater range of colours in your furniture. Ethan Allen offer most of their furniture in a few different sizes. This let’s you choose products which will fit in the space you have available and not completely fill up a room. This allows for maximum utility in an already crowded home. Finally, but perhaps most importantly, you can take a look at the materials on offer. The Ethan Allen living room collection offers a wide range of different fabrics and leathers on their upholstery. The fabrics are perfect for lighter colours while the leathers give a classic traditional look. For the dining room you can see the different woods and finishes on offer. Each gives a unique and recognisable look to your room so it’s worth exploring all of the options. 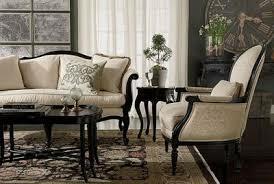 Ethan Allen also offers a free design service. This let’s you consult with professionals in order to work out exactly what will work for you. Using the space available and bouncing off existing furniture they can help you make your living room or dining room look incredible. Overall Ethan Allen have kept the design choices very much in the hands of the customer. Practically every unit has options to let you customise and personalise the piece, with very few limitations. If you are looking for another company that is very customizable I suggest taking a look at Klaussner furniture. Ethan Allen pride themselves on their craftsmanship and back up their statements with their warranty. The warranty on offer differs from product to product, but most of their core elements are covered for a number of years. Before purchasing always be sure to talk to the salesman and get details of the warranty. This will let you know exactly where you stand if something goes wrong. “I've been buying EA furniture for over 10 years, have a house full of it now and I have to say it's all pretty good quality (by my standards).” - Doug C.
“Recently Ethan Allen has a lot of furniture that is "Made in China". This has contributed to a drop in quality. Unfortunately, this is an industry trend that is spreading.” - Dave F.
This is worrying as generally products built and assembled in China/Asia are of much worse quality. Thankfully this is only for some of the Ethan Allen product lines, so be sure to check carefully before ordering if you want that American built quality. If you are looking an American made brand I suggest taking a look at England Furniture. Ethan Allen are one of the oldest furniture producers and their knowledge and expertise in the industry is clear. Their product ranges are wide but the attention to detail and level of choice for each item makes them an attractive place to buy your furniture. It’s worrying that they’ve chosen to outsource production overseas as that can lead to more inconsistent quality and less reliability in the brand. American made quality is always best, so if you can afford those product lines then be sure to go for it. 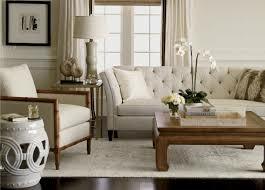 Overall Ethan Allen have combined style and durability with innovation. They offer affordable solutions to home problems and allow the customer some good value. If you’re looking to get your home some stylish new furniture they’re definitely one to consider.